I’ve just posted a review of Grant Morrison’s Supergods: Our World in the Age of the Superhero on my Writing page, the original of which ran in The Sydney Morning Herald last week. I suspect Morrison’s name may not be familiar to a number of you, but to anybody who reads comics it’s likely to be immediately familiar, and, if only because he’s been so immensely influential, the prospect of a book by him is likely to be of considerable interest. I have reasonably complex views about Morrison’s work. There’s an intellectual brilliance and a joyousness to his affection for the pulpier aspects of the superhero in his work I find it impossible not to respond to, qualities that in combination have made him responsible for many of the truly electric moments I’ve had reading comics over the years. I’m very happy to say his runs on Doom Patrol and Animal Man remain amongst my favourite comics ever. 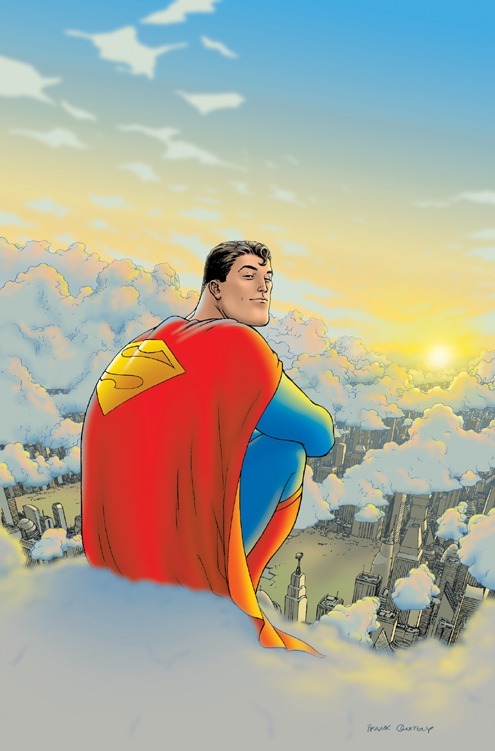 And there’s a slightly daffy warmth and wildness to books like All-Star Superman which is, at its best, very touching. But I also feel he’s a writer whose best work (with the honourable exception of The Invisibles) tends to be within existing mythoi. This isn’t necessarily a criticism. Indeed in many ways it’s a function of what makes him so good when he’s at his best. Because at the heart of his work is a fascination with the things that make comics tick, the pulpy energy and urgency and sheer imaginative wildness, all of which he clearly understands at a deep, intuitive level, and all of which are very much on display in Supergods. Anyway, I’ll let you read the review for yourself. But I’ll also say that if you’re a comics reader, or even just somebody with an interest in the form, it’s a book that’s very, very worth your time.